Fall in love with the new Cotton Liberty range! 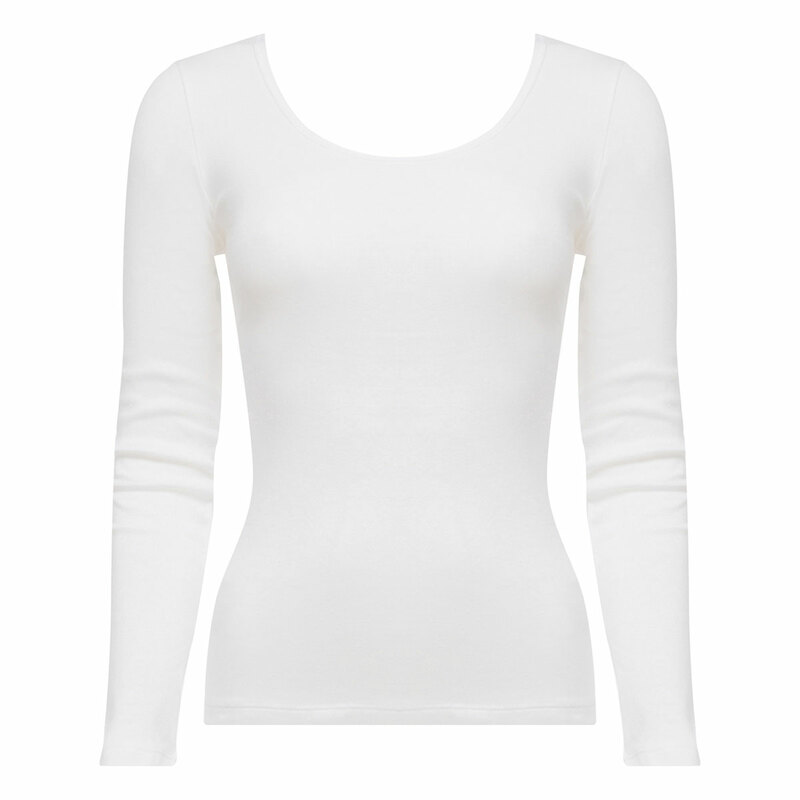 The long-sleeved white t-shirt is a piece of lingerie that wil become a must-have item in every wardrobe. You'll enjoy its classic form and round neck. This highly comfortable piece of underwear is designed in delicate cotton that's soft to the touch. It can be worn discreetly under your clothing thanks to its invisible seams. The new long-sleeved white top from the Cotton Liberty collection is perfectly suitable for everyday wear. You can wear it anywhere, whatever you're doing and whatever you're wearing. You can team it with Mini, Midi or Maxi briefs from the Cotton range for total comfort. But maybe you prefer to choose a brief from the Cotton & Lace range for a more feminine look?